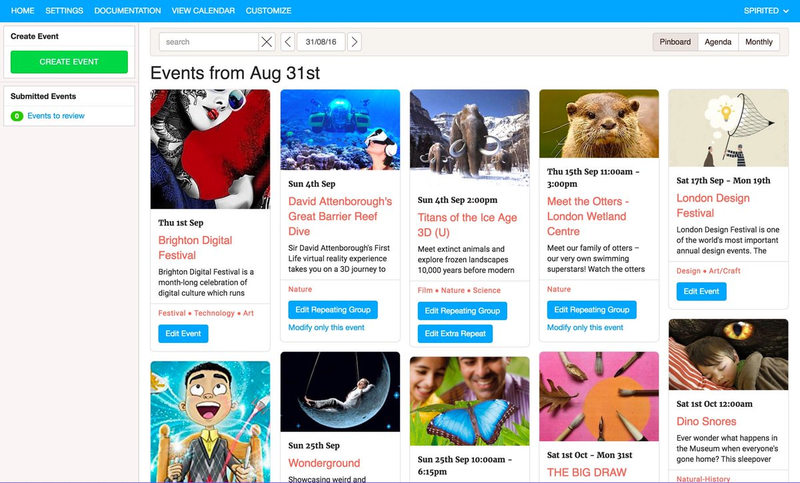 If you have events in Second Life and have an associated blog then a calendar is an essential way of letting residents know about them. Although Google calendars function well enough, they don't really engage blog visitors or in fact motivate them to even take a look at what upcoming events you may have. There are however a number of visually engaging calendars out there that can be embedded into your blog and offer your readers a much more stimulating page, which in turn may well encourage them to attend your events. For those of you looking to enhance your calendar page, here are five of the best choices for online calendars. As with a number of online calendars Comingly offers free and premium versions, although the free version is more than suitable for Second Life residents. This option includes two templates ( grid and upcoming styles), as well as a photo page where those that attend your events can add their own pics and comments. Your events can also be exported to other people's personal calendars, and if you have a Google calendar, then this can be imported to Commingly. 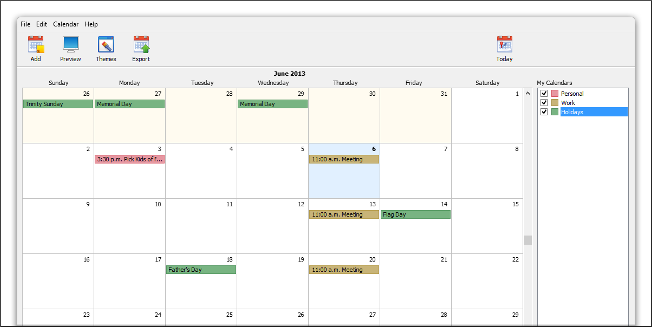 Tockify is another feature rich online calendar, although most are reserved only for premium users. 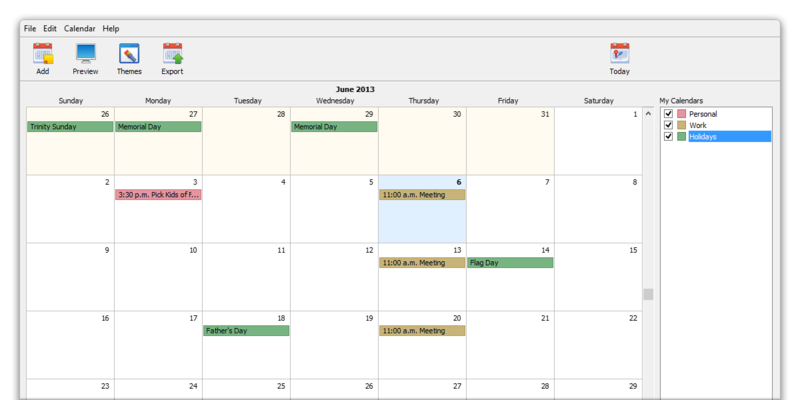 However, the free version is still visually appealling and an improvement on the old Google calendar. The free option allows an agenda style with images, although you are restricted to the default theme. There is also a limit of 2000 views per month, although this should be enough for most Second Life blog calendars. 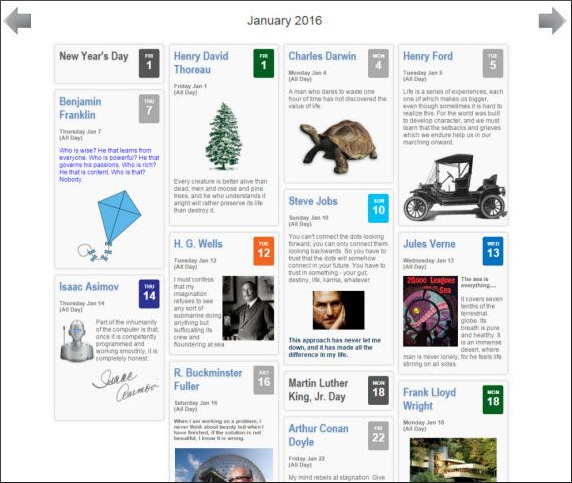 Localendar is one of the most flexible blog calendar options. Take a look at their calendar style examples that include everything from a pinboard style, a standard schedule, to a dynamic style that includes multiple calendars and you'll see why Localendar is so good. This is all possible for free - if you don't mind your calendar including display ads. Web Calendar is more basic than the above calendars although there are different themes that can be applied. 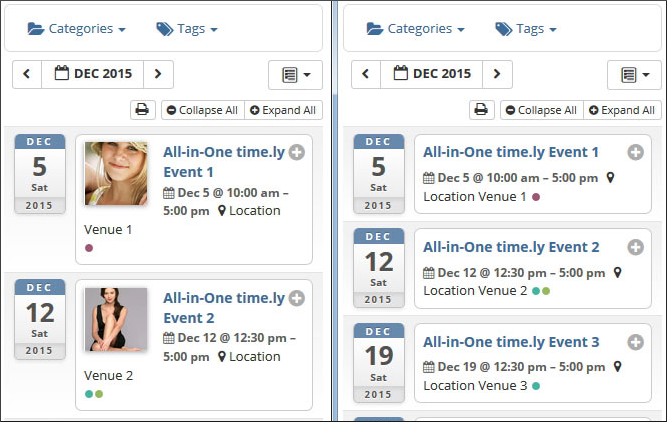 Its main functions are essentially allowing users an easy way to manage schedules and to import from other calendars. Other than also being free, there doesn't seem to be much more to reccomend it. Timely offers a number of paid options, ranging from $9.00 - $99.00 per month, which is probably a bit rich for most Second Life bloggers. 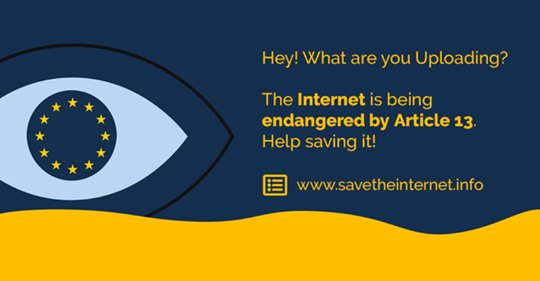 However, there is a free plugin for Wordpress users, even if it doesn't appear to offer any more features than a Google calendar, although it may be worth taking a look at to see if it is at least more visually engaging. If none of the above options are entirely suitable for what you have in mind then creating your own calendar may be an option. 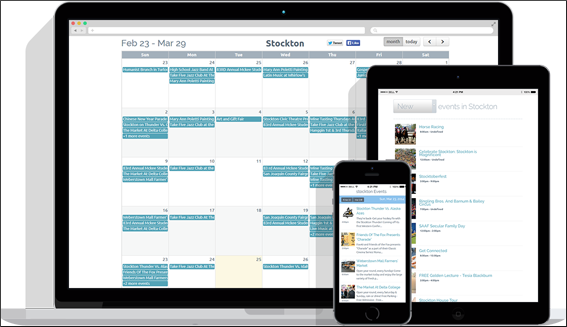 This would work well if your events do not change too much from week to week, and has the added bonus that you can style the calendar the way you want it. This would of course be a very hands on approach and would require a little html knowledge, such as how to create tables, but free apps such as Kompozer make this much easier than you might think. Take a look at the calendar page here to view the agenda style calendar I created. 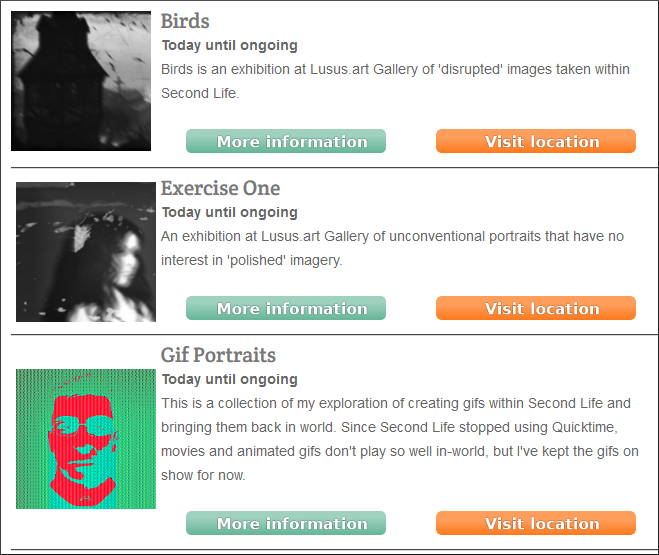 Click on the 'more information ' and 'visit location' buttons and see if this inspires you to make your own calendar.